Everything has been leaking now a days -- cinema wise, that is -- but the full, new trailer of The Hunger Games: Mockingjay, Part 1 has never been graced until now (since it was announced 5 days ago I was hoping for some bootlegs and leaks so I could get a first look -- to no avail). But the wait has certainly been over and it's worth it... Just watch the new trailer for your self... but don't get too emotional just yet. Directed by Francis Lawrence, the movie was adapted to screen by Danny Strong and Peter Craig based on the portion of Suzanne Collins last Hunger Games trilogy novel. It stars Jennifer Lawrence, Josh Hutcherson, Liam Hemsworth, Elizabeth Banks, Woody Harrelson, Julianne Moore, Philip Seymour Hoffman, Donald Sutherland, Stanley Tucci, Jeffrey Wright, Natalie Dormer, Sam Claflin, Jena Malone, and Willow Shields. Watch the new trailer for The Hunger Games: Mockingjay, Part 1. 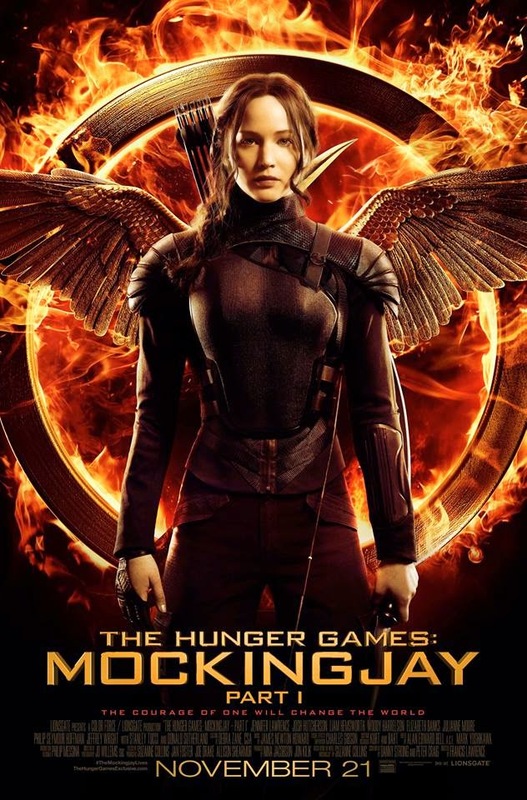 The worldwide phenomenon of The Hunger Games continues to set the world on fire with The Hunger Games: Mockingjay - Part 1, which finds Katniss Everdeen in District 13 after she literally shatters the games forever. Under the leadership of President Coin and the advice of her trusted friends, Katniss spreads her wings as she fights to save Peeta and a nation moved by her courage. Catch The Hunger Games: Mockingjay, Part 1 in cinemas on November 21, 2014.